Add chicken wings to a large slow cooker, pour in cola. Then add sauce and additional ingredients. Stir until wings are well-coated. Cook on low for 6-8 hours or high for 3-4 hours. Once done, set oven to broil. Line a baking sheet with foil. Remove wings from slow cooker and place on the lined baking sheet. Use a basting brush to coat wings with additional sauce. Thicken with a little extra BBQ sauce if needed. 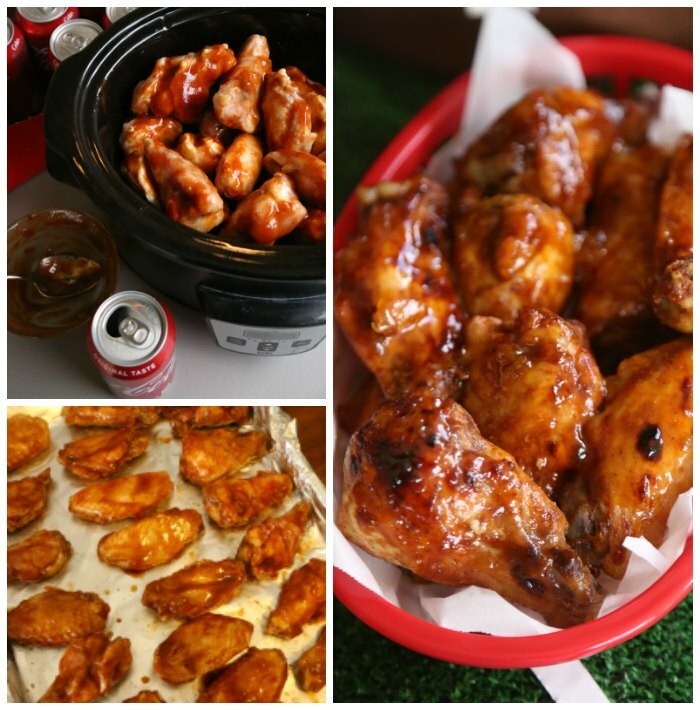 Broil for approximately 2-3 minutes.Remove pan from oven, flip wings, and brush wings sauce. Return to oven and broil for an additional 3-5 minutes, until sauce starts to caramelize. Remove from oven, serve, and enjoy! I recommend using a non-sweet BBQ sauce for this recipe. Use your favorite store-bought or from scratch version (approximately 2 cups no matter which you choose).